The Algerian Navy is believed to have ordered six AgustaWestland Super Lynx 300 helicopters for its new Meko A200 class frigates, Defenseweb reports. In its results for the second quarter of 2012, Finmeccanica stated that, “the most important new orders of the period in the military-government line include the contract to supply six AW Super Lynx 300 helicopters to a key customer in the southern Mediterranean area…”. 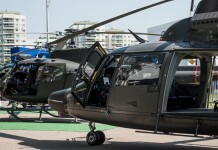 Algeria has requested that its helicopter deals with AgustaWestland remain confidential and the Finmeccanica company does not comment on any Algerian acquisitions. 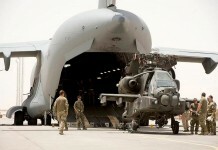 However, it is believed that Algeria is acquiring at least 80 helicopters from AgustaWestland. These will be used by its armed forces, paramilitary forces and emergency forces and are being procured through the Algerian Ministry of Defense. 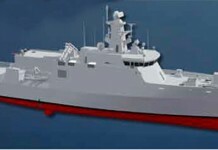 The new helicopters are expected to operate from the Algerian Navy’s two Meko A200 frigates, which were ordered from ThyssenKrupp Marine Systems (TKMS) on March 26 this year. 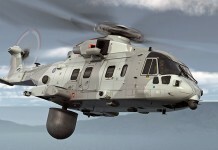 TKMS will supply the two frigates and six Super Lynx helicopters under the initial contract worth around €400 million. 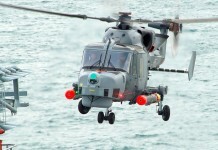 Algerian crews were trained in Cornwall in the UK, with the first Lynx flying by February 2010 and the first Merlin commencing training flights in May. 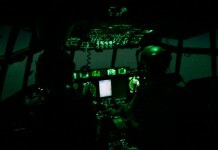 All the aircraft from this deal are believed to have been delivered and are fully operational. The fourth and final Super Lynx Mk 130 was delivered in January this year, after the first two were delivered in September 2010, followed by the third in February 2011. 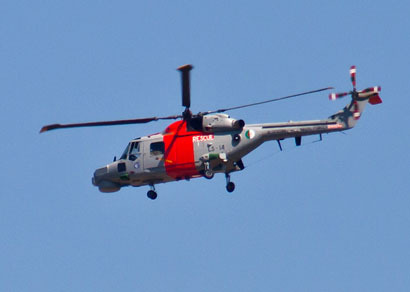 The Algerian Super Lynx 130 are operating with six AW101 Mk 610 in Search-and-Rescue missions. Finmeccanica is also believed to have signed multiple additional contracts with Algerian government agencies, including 15 AW109s and 10-15 AW101s for the Gendarmerie and 27-32 AW101s and 15 AW109s to be assembled locally. In addition, the first two of five AW139s ordered by Algires were delivered to the Protection Civile in February this year.